UPDATE – My original guesses below have been confirmed: Here it is, the origin of Avril’s nickname “Abbey Dawn”! This was at a Canon Canada press event where they invited 10 “Super Fans” to have a meet-and-greet with Avril after they announced this new partnership between her and Canon Canada. July 2008 Update! Abbey Dawn Clothes can be found on eBay now! 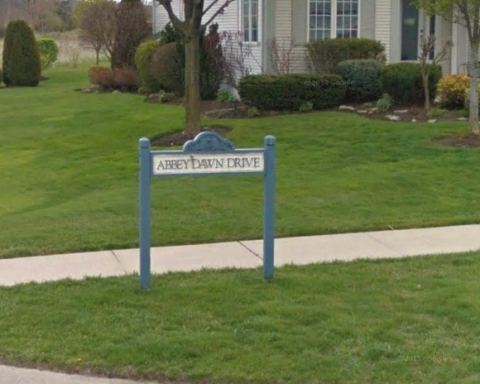 And there’s an Abbey Dawn Road on the other side of Kingston (maybe 45 minutes from Napanee?) but it’s out in the country – not much there except maybe a Paintball field and a Tavern on the waterfront called “Schooners Restaurant & Bar” and “Smuggler’s Inn”, both at 907 Abbey Dawn Road where it meets Highway 2. Previous Story Previous post: Is Avril Lavigne Pregnant..?! 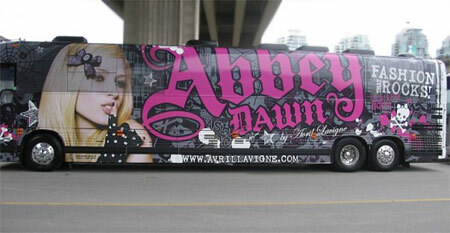 Next Story Next post: The Origin of Abbey Dawn!